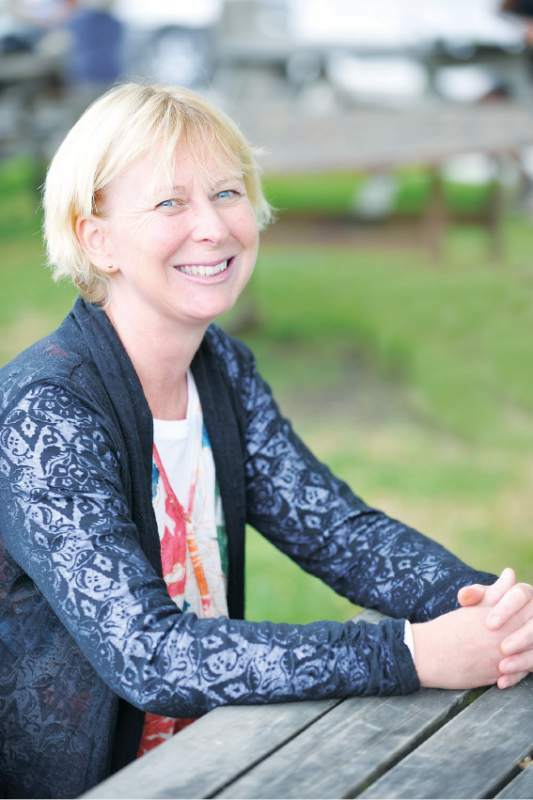 A “MAGICAL’’ Gisborne lifestyle and a low-saturated fat diet rather than a medicated regime works wonders for Jo Stewart, nine years after she was diagnosed with multiple sclerosis (MS). Jo was diagnosed on February 16, 2007, at 4.30pm. Multiple sclerosis is an autoimmune disease that affects the central nervous system, which includes the brain, spinal cord and optic nerves. There is no known cure and over 3000 New Zealanders live with the potentially debilitating disease. Early signs of MS can include fatigue, damaged eye sight, restricted movement and a feeling of numbness or pins and needles. Jo had an MRI scan of her brain and spinal cord and a lumber puncture where a needle was inserted into the spine. It collects cerebrospinal fluid (CSF) for diagnostic testing of the central nervous system. To add to her stress, Jo was living in Scotland at the time as a single mum, “trying to make my way in the world”. Drugs do not cure MS, but they do reduce the frequency and severity of a relapse. Jo was offered Beta-Interferon, which was commonly prescribed to people with MS at the time. The possible side effects including flu-type symptoms, hair loss and depression meant it was not a very attractive option for Jo. She decided to take a holistic approach as it provided more positives than negatives. While researching MS, she found and adopted the Modified Swank diet, developed 40 years ago by the late American neurologist Dr Roy Swank. The low-saturated fat diet prohibits all dairy products, red meats, pork and reduces fat intake to 50 grams a day, of which only 5 grams can be saturated. It stresses the importance of fish and fish oils and the intake/balance of flax oil and other Omega 3 products. Jo uses flax oil, fish oil, Vitamin C, Vitamin D, deer velvet, and enjoys an active lifestyle. Dr Swank reported that 95 of his patients who adopted the low-fat diet, following an early diagnosis of MS, had a very good chance of remaining free from further disability. The diet is used by many people with MS despite numerous medical authorities saying there is no medical research proving its effectiveness. Jo said she could not speak for all as every case of MS is different, but believes the Modified Swank Diet works. Since her original diagnosis, medical research has come on ‘‘leaps and bounds’’. Clinical studies and advances in research around stem cell therapy might offer hope. In New Zealand last month, Pharmac introduced a new oral treatment for relapsing multiple sclerosis patients called Tecfidera. The drug is thought to inhibit immune cells and may have antioxidant properties that could be protective against damage to the brain and spinal cord. Jo speaks highly of the Gisborne-East Coast MS Society. It has excellent resources because of the efforts of the late Esme Tombleson, co-founder of MS Society of New Zealand and Gisborne MP from 1960 to 1972, she said. Christine Beard, the society’s local field officer, “goes above and beyond the call of duty’’.